The black liquor recovery boiler presents problems of operation and safety that far exceed those of the conventional power boiler or other forms of combustion equipment that can be used for the thermal oxidation of waste streams. The recovery boiler is primarily a chemical recovery process unit in which organic materials in the black liquor are burned while the oxidized sulfur compounds of sodium and potassium are reduced and drained as molten smelt from the furnace bottom. At the same time, the heat released is used for generation of steam for power and process. This document is intended to address concerns of the industry relating to safe thermal oxidation of waste streams in recovery boilers. “Waste streams” for this document are produced in the pulping process. The major waste stream is noncondensible gases (NCG), which are gases that contain reduced sulfur compounds from the digester and evaporator operations and are a source of odor. 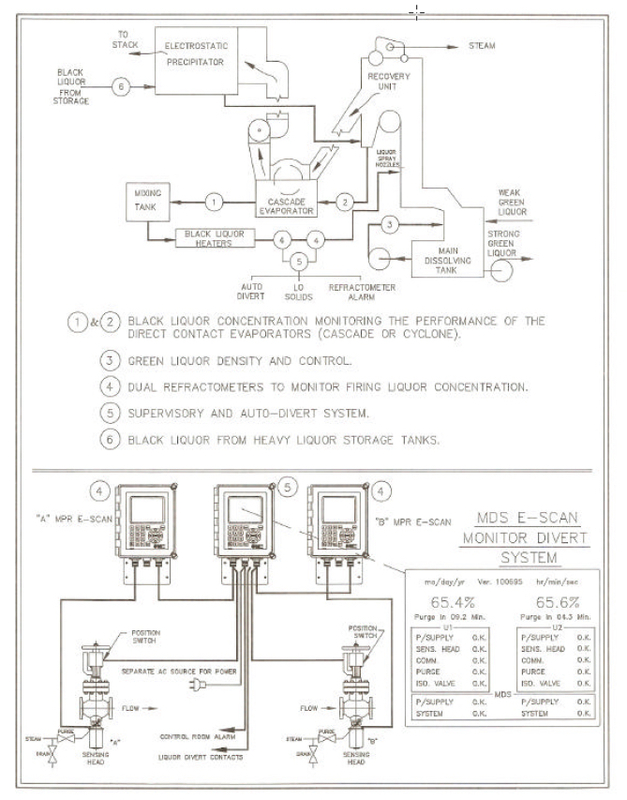 Refractometers are used in the recovery boiler area to measure heavy black liquor solids in the range of 50-80%. When used to monitor liquor solids to the spray nozzles they become so critical that the recovery boiler will not be operated without them. 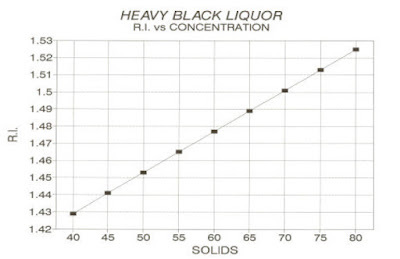 As quoted from the Black Liquor Recovery Boiler Advisory Committee, “Refractometers have proven to be effective for black liquor recovery boiler service.” Refractometers are a critical component of the black liquor safe firing system. diversion of the liquor from the furnace into a recirculation loop until the problems can be resolved. Refractometers used elsewhere in this area include measuring the concentration of the heavy black liquor from storage as it enters the recovery area. They are also used extensively around the cascade or cyclone evaporators to monitor the performance of the direct contact evaporation system. When refractometers are used in the recovery area, the process can be tuned to operate efficiently and most importantly, more safely. Inline process refractometer on black liquor service. Loss of cooling water and its effect on the sensing head. Lack of reliability of the prism wash.
Condensation in the sensing head. These may not apply to all refractometers due to differences in construction and circuitry. It is of vital importance that the loss of cooling water be detected. This may be done through a temperature sensing element or flow monitor which shuts down the refractometer involved. Damage to the sensing element of a refractometer does not occur instantaneously, but it is essential that the system detect abnormal temperatures due to cooling water loss, flow blockage, etc., and that the cooling water be promptly restored. The individual refractometer manufacturer’s instruction and maintenance manuals shall be consulted with reference to: potential damage to the sensing element; identification of a damaged element; how and when to replace a damaged element. The time interval between prism washes may vary with the black liquor composition. It is recommended that the minimum wash period be 7-10 seconds of wash every 20 minutes. Short duration washes at more frequent intervals are more effective than long washes at long intervals. Ideally, steam pressure for prism washing should be 35 psig above the black liquor pressure, plus the pressure required to open the protective check valve. Awareness must be maintained of the effect of changes to the prism wash programming variables. Various refractometer systems have the capability to adjust: condensate drain time, steam on time, recovery time and interval between wash time. It may be possible to configure the system to have the total time that both refractometers are in their wash cycle represent a significant percentage of operating time. If one refractometer is out of service for repairs and the remaining refractometer is in prism wash, black liquor solids are not being monitored. Prism wash should be minimized to that needed to maintain the system. If high pressure steam is used, it may abrade the prism. If only high pressure steam is available, a reducing valve shall be used. The refractometer prism must have a clear polished optical surface, and if it becomes abraded, it must be replaced. If the prism wash system has not operated properly and the prism becomes coated, it must be removed and properly cleaned. Condensate may build up in the refractometer sensing head and if this occurs, the instrument operation will be erratic. The procedure for determining this condition and for the elimination of excessive moisture in the sensing head is not the same for all refractometers. The manufacturer’s instruction and maintenance manuals shall be consulted and followed carefully. Reprinted from "Recommended Good Practice: Safe Firing of Black Liquor in Black Liquor Recovery Boilers" courtesy of the Black Liquor Recovery Boiler Advisory Committee. The BLRBAC stands for Black Liquor Recovery Boiler Advisory Committee. It was formed in 1961 as a non-profit trade association dedicated to improved safety of chemical recovery boilers, and their auxiliaries, through the interchange of technical knowledge, experience, and data on past and any future recovery boiler incidents. It's formation stemmed from an alarming number of explosions, injuries, and deaths involving Black Liquor Recovery Boilers. 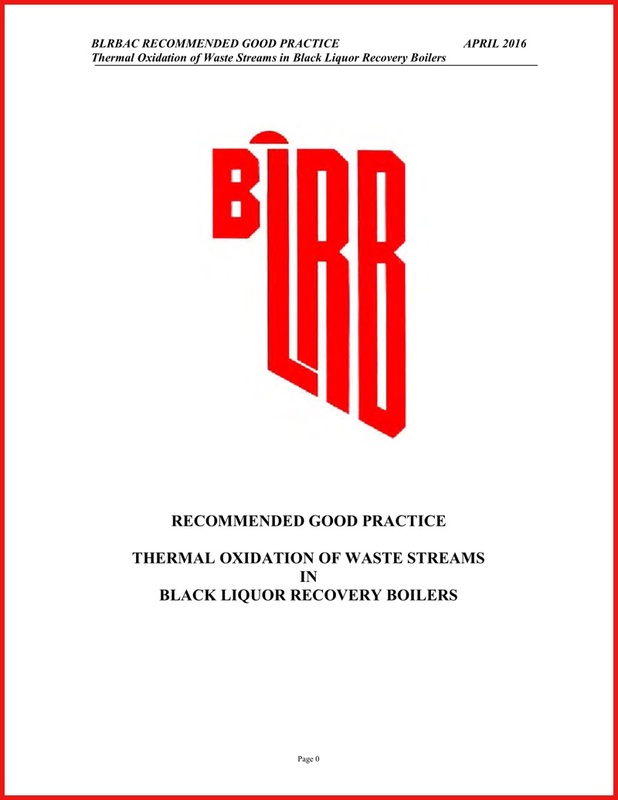 Industry professionals from insurance companies, paper companies, and boiler companies agreed to create the BLRBAC for the purpose of generating safety procedures and guidelines that govern the operation of Black Liquor Recovery Boilers. The BLRBAC has a number of active sub-committees that are constantly reviewing and updating their safety guidelines to reflect current technology and knowledge. The Black Liquor Recovery Boiler Advisory Committee meets twice a year in Atlanta GA, usually the first week in April and October. For more information about the BLRBAC, visit http://www.blrbac.org. “Black liquor” is a term used for the waste products that result from the pulping process. The black liquor recovery boiler (BLRB) allows for the chemicals in the waste products to be reclaimed via combustion. These reclaimed chemicals are then utilized to both meet steam demands in the process and to generate electricity. Modern day BLRBs are designed similarly to industrial boilers, typically as two drum designs, for operating pressure under 900 psi, or single drum designs, for operating pressure over 900 psi. The combustion gases utilized by the boilers can be sticky, so the BLRB furnaces are taller than their utility or industrial watertube counterparts. 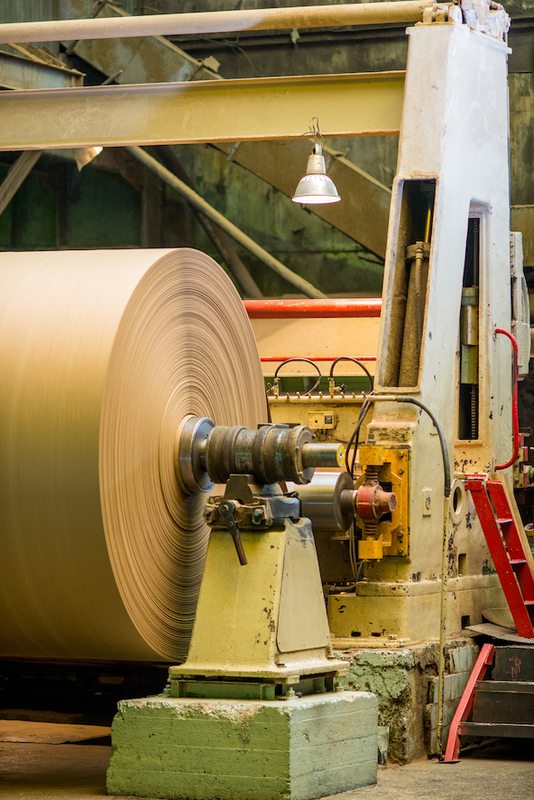 The amount of pulp producible by a particular mill directly correlates to the size of the BLRB. Small BLRBs process about 750,000 pounds of dry solids per day, and larger BLRBs process about six million pounds of dry solids per day. Precise attention and vigilant maintenance are required in order to maximize investment return for each particular boiler. In order to ensure stabilization of combustion, BLRBs are equipped with auxiliary burners which raise boiler temperature for the combustion process. The firing of the black liquor will eventually become self-sufficient. 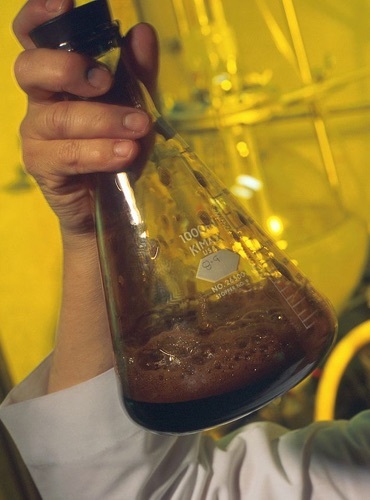 Combusting the black liquor allows for sulfur compounds used in the pulping process to be reduced to sulfide while inorganic chemicals essential to the process are melted down for reuse. The furnace vaporizes the black liquor as the liquor is sprayed into the furnace. Extra water is vaporized, and some of the combustion takes place as the black liquor falls to the furnace’s floor. The resulting molten smelt flows through spouts, which are operantly cooled via water, to a smelt dissolving tank. A particular risk of the BLRB process stems from the relationship between molten smelt and water. The pool of molten smelt that accumulates as a result of the reclamation process needs to be kept separate from water, because water and molten material mixing at high temperatures can result in a smelt-water explosion. 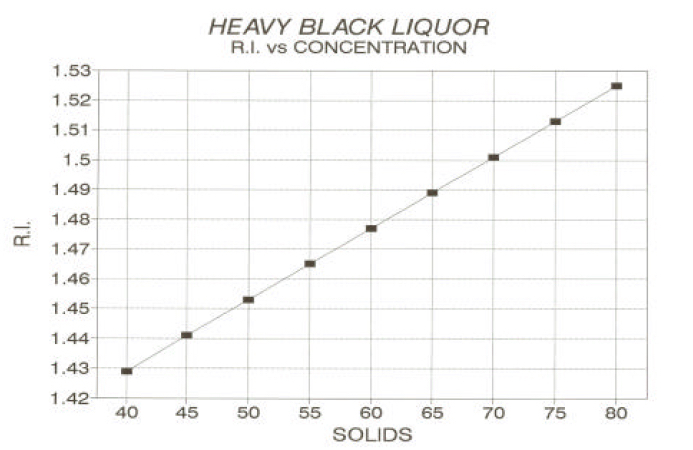 These explosions can occur when black liquor water content is greater than 42% of the mixture. Additionally, there are numerous ways water can enter the process – as condensation from the soot blower, a faulty steam coil heater, wash hoses – so controller vigilance is absolutely key to explosion prevention. The Black Liquor Recovery Board Advisory Committee has recently introduced an emergency shutdown procedure, where an emergency evacuation alarm signals as soon as suspected water enters the BLRB furnace. The operator, with corresponding training, shuts down all fuel flow and minimizes combustion until all but a minimal amount of water is drained rom the BLRB. Annual inspections of BLRBs mandate the testing of all pressure parts and safety systems, because utmost care must be assured in preventing risk of system damage or operator harm when dealing with BLRB processes.